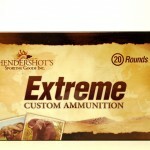 500/465 Nitro Express - Hendershot’s Sporting Goods, Inc.
Hendershot’s “Extreme” Custom Ammo is your best source for 500/465 Nitro Express ammunition. Offerings include the Woodleigh 480gr Weldcore and FMJ at a muzzle velocity of 2150 FPS, to closely replicate the original load specs. We are also happy to offer different load options so you can test the regulation in your double. Our load development service in also available and we have had excellent results with developing a load that matches the regulation of your rifle. 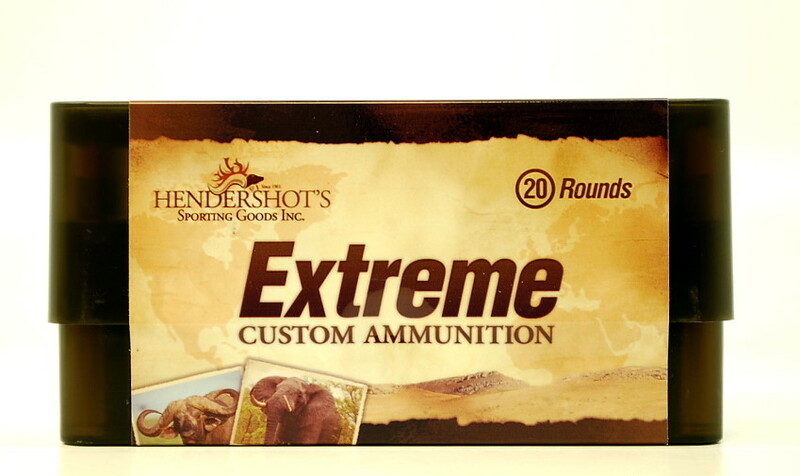 We are more than happy to discuss bullet performance relating to our 500/465 Nitro Express ammunition and bullet selection for your rifle. Please call us at (240) 347-4883 and we will be happy to speak with you!